Who Are the “Mobile Addicts” in This World? Most of us know at least some people who seem to be on their mobile devices constantly. And now their total numbers have been quantified. Bank of America has teamed up with Yahoo! 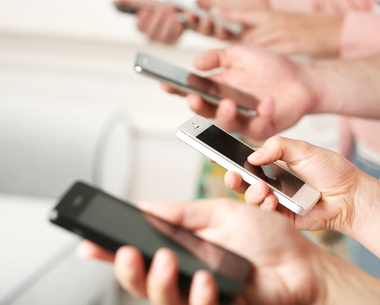 research firm Flurry Analytics to publish a Consumer Mobility Report. The one published last month is the second such yearly report. According to the study, using these criteria there are ~280 million people around the world who qualify as Mobile Addicts — and that figure is up sharply since 2014 (by nearly 60%). By comparison, Super Users represent slightly under 600 million people, while Regular Users are still the lion’s share at ~985 million. So, while a distinct minority, the number of Mobile Addicts is actually quite high — and it’s growing much faster than the other two segments. It certainly helps us understand why we’re seeing mobile addiction-like behavior seemingly everywhere we look. The BofA/Flurry study also delved into the major categories of apps that Mobile Addicts are using, and found that their usage levels are higher across all of these categories. Study details are available here. Do any of these statistics come as a particular surprise to you? Let other readers know your thoughts. As more consumers migrate to the smartphone from traditional feature phones, we’re seeing a transformation of the mobile phone away from its original “tele” purpose. That’s the conclusion of several studies by analytics firms Flurry and Wireless Intelligence. And Wireless Intelligence found some very intriguing figures in its analysis of smartphone user activity conducted in mid-2011. What we’re seeing is that the original purpose of the cellphone has devolved into a position of distinctly lower importance. In time, it could well become the asterisk at the bottom of the page. And this is happening inside the span of 15 years. To borrow a phrase from former Speaker of the House Newt Gingrich, you’d be hard-pressed to cite another device that has so “fundamentally and profoundly” changed its functionality and user purpose over such a short amount of time. Mobile Phone Users: Driven to Distraction? It’s pretty well determined by now that the plethora of new communications conveniences that have come on the scene in recent years have done just as much to complicate our lives as to simplify them. Certainly, they have introduced new types of dangers. Take mobile phones and driving. For those who have heard the sickening cellphone recording of the young driver who has a fatal car accident while discussing wedding plans with her family over the phone … it’s a chilling example of the worst kind of thing that can happen. But despite the fact that people claim to understand the risks of driving while using a mobile phone, most Americans continue just such behavior, believing themselves to be better than average drivers. At least, that’s the finding of research firm Harris Interactive, which surveyed nearly 2,200 American adult cellphone users in June 2011. About two-thirds of those queried in the Harris online survey admitted to using their cellphones while driving. 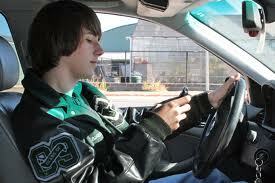 In addition, nearly one in four send or read text messages while they’re behind the wheel. As stark as those figure are, they are actually down somewhat from an earlier Harris survey conducted in 2009. In that study, ~72% of drivers with cellphones reported that they used them while driving, and nearly 30% texted while driving. The newer figures remain disconcerting, though, because cellphone distraction is reported to cause more than 300,000 injuries in the United States each year – and several thousand fatalities as well. A study published by Human Factors Quarterly has concluded that motorists who are engaged in cellphone conversations while driving are actually less capable of handling the wheel than intoxicated drivers with a blood alcohol level exceeding .08. But back to the Harris survey. It found that ~57% of the respondents consider themselves to be “better than average” drivers (only 1% consider themselves worse than average). And for men, that figure is even higher at 66%. Since it’s basically impossible for two thirds of the male drivers to be above average, clearly the perception is not matched by the reality. Not surprisingly, some of the more alarming findings from Harris are coming from the younger set. Texting while driving is much more common in this cohort; nearly half of the drivers under the age of 35 reported that they send or read text message while driving. More of the sobering findings from the Harris research survey can be found here. Virgin Mobile’s “Sparah” campaign: Art imitates life … or vice versa? In recent days, American television viewers have begun to see ads about a “faux” celebrity couple — Spencer Falls and Sarah Carroll – dubbed “Sparah.” What’s up with this? It turns out that Virgin Mobile dreamed up these entirely fictitious characters as a way to raise interest and generate “buzz” about its Android-powered phones that feature monthly “pay as you go” plans that include unlimited web, data, messaging and e-mail. Now, before reading this blog post any further, I’d suggest you take a moment and view the intro ad here. The “celebrity couple” is being “given” a house in Hollywood Hills, a stylist and an agent/publicist. As their “fame” grows, the “couple” is being asked to “participate” in activities “typical” of A-list celebrities, including photo shoots, store openings and appearances at special events. As part of their “contract” with Virgin Mobile, the “couple” will be chronicling their “activities” across a variety of social media channels, including Facebook. Twitter and FourSquare. Judging from the comments being left by viewers of the “Sparah” videos on YouTube, Virgin Mobile’s campaign is having the desired effect so far. Not only is the campaign generating significant buzz, it’s near-universally positive in tone. There’s little doubt that Virgin Mobile has come up with a clever and successful way to generate awareness and interest in its phone plans as it competes with other service providers in the market. But what’s also interesting is that Virgin Mobile is shining a light on the hyperbole and “blue smoke and mirrors” that inform so much of social media and celebrity marketing today. The line between what’s genuine versus what’s “manufactured” in pop culture – whether news or biography or gossip – is a very fine one. That’s always been the case, of course: the successes of a Lillie Langtry or Sarah Bernhardt a century ago would not have been so impressive without it. It’s not hard to speculate that Virgin Mobile is conducting this campaign with “tongue planted firmly in cheek.” Still, the marketing pros at the company realize that while people may laugh at the irony of the campaign, at the same time Virgin Mobile is benefiting in a major way from the very things they’re spoofing. And that’s a master stroke. Art imitating life? Life imitating art? It’s a pointed joke for sure … but on whom? Microsoft’s “next of Kin”? None, evidently. People say that today’s digital world has dramatically shortened the business and product development cycle. But even so, the amount of time it took for Microsoft to pull its Kin social phone off the market – a mere six weeks after its launch – has to be a record, or close to one. For those who missed this eye-blink of a product introduction, the Kin was supposed to be a major component in Microsoft’s efforts to become a player in the mobile market, in response to the success of Apple’s iPod and iPhone, as well as a variety of new smartphones that are powered by Google’s Android software. Amazingly, for a product that was in development for several years and reportedly represented a resource investment of well over $1 million, Microsoft sold only a relative handful of units during the Kin’s star-crossed six-week introduction. Reports of sales volume vary – from a few thousand units on the upper end to as few as 500 on the low end. Either way, it’s a stunning defeat for a company that up until a short time ago, seemed well on its way to being an important player in the field. What was Kin’s problem? In a nutshell, consumers didn’t like the product nor the way it was being sold. Verizon, Microsoft’s service provider partner, priced Kin service agreements like a smartphone – at ~$70 per month when combined with the mandated voice plans. But many people felt that the platform was mediocre and didn’t possess anything near the functionality of a smartphone. “A feature phone, not a smartphone,” was the common complaint. Some people are wondering if there’s a bigger story afoot: whether or not Microsoft is still committed to its Windows Phone 7 platform. It’s fallen so far behind iPhone and Android, what are its chances of success now? And that’s not all the bad news for Microsoft on the consumer side of the business. Gizmodo is reporting that Microsoft has also cancelled a project to develop its Courier tablet computer that would have competed with the iPad. This is just the latest in a string of Microsoft consumer initiatives that have basically fallen flat – Money, Encarta, and now the Kin and Courier. Once, Microsoft would have hung in there for the long haul. It doesn’t seem so today. It’s clear that the mobile web is a big growth segment these days. Proof of that is found in recent Nielsen statistics, which have charted ~34% annual growth of the U.S. mobile web audience, now numbering some 57 million visitors using a mobile device to visit web sites (as of late summer 2009). And now, a new forecast by the Gartner research firm projects that mobile phones will overtake PCs as the most common web access devices worldwide … as early as 2013. It estimates that the total number of smartphones and/or browser-enhanced phones will be ~1.82 billion, compared to ~1.78 billion PCs by then. Gartner is even more aggressive than Morgan Stanley’s prediction that the mobile web will outstrip the desktop web by 2015. Well … consumer studies also show that web surfing using mobile phones continues to be a frustrating experience for many users. In a recent survey of ~1,000 mobile web users, web application firm Compuware/Gomez found that two out of every three mobile web users reports having problems when accessing web sites on their phones. Because people are so used to fast broadband connections – both at home and at work – it’s only natural that their expectations for the mobile web are similarly high. To illustrate this, Gomez found that more than half of mobile phone users are willing to wait just 6 to 10 seconds for a site to load before moving on. And what happens after they give up? Sixty percent say they’d be less likely to visit the site again. More importantly, ~40% report that they’d head over to a competing site. As for what would happen if the mobile web experience was as fast and reliable as on a PC, more than 80% of the respondents in the Gomez study claim they would access web sites more often from their phones. For marketers, this means that to maximize their success in the mobile world, they should reformat web sites to conform to the small-form factor of handheld devices. And Gartner also notes that “context” will be the king of the hill in mobile – more than just “search” – in that it will deliver a personalized user experience. New functionalities such as Google’s “Near Me Now” are providing information on businesses, dining and other services that are in the proximity of a mobile user’s location. These and other innovations are opening up whole new dimensions to “seeking and finding” in the mobile web world.